This weekend I had a major pudding craving but did not want to resort to making the boxed variety (bleh) or standing over a stovetop trying to make it from scratch with lots of eggs, cream, and chocolate. So began my search for both a healthy and easy pudding. 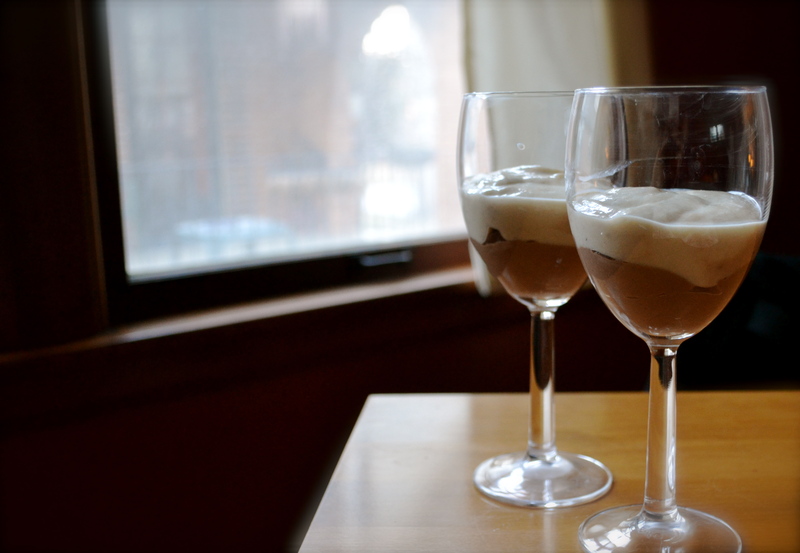 I found this interesting recipe for pudding in Mark Bittman’s Food Matters Cookbook. He uses tofu (stop rolling your eyes) instead of milk. The recipe basically takes a block of firm tofu and divides it in two portions. Half of the tofu is blended with melted chocolate, sugar syrup, and vanilla. The other portion of tofu is blended separately with bananas, sugar syrup, and vanilla. The food scientist in me was seriously curious. Would it be creamy? Would it be chocolaty? Would it be soy-y? The verdict…YES. YES. and not really. The chocolate pudding had a slight soy aftertaste, but not near as bad as the aftertaste associated with soy milk. The flavors and thickness of both puddings improved as they chilled in the fridge. My husband liked the banana pudding the best. I liked them both, but actually liked the chocolate one a bit better (even though I’m not a big chocolate fan) only because it was slightly more firm and more “pudding-ish”. Allow the two puddings to chill for ate least 30 minutes before making the parfaits. Adaptations: Next time I think I may replace the sugar syrup with almond milk and maple syrup or honey. 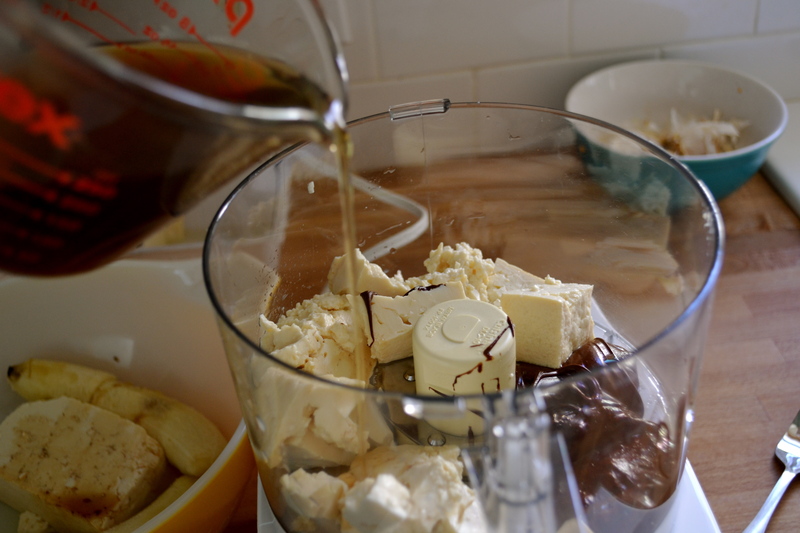 I am also dreaming about a butterscotch variation….I will keep you posted on the results of the experiment. 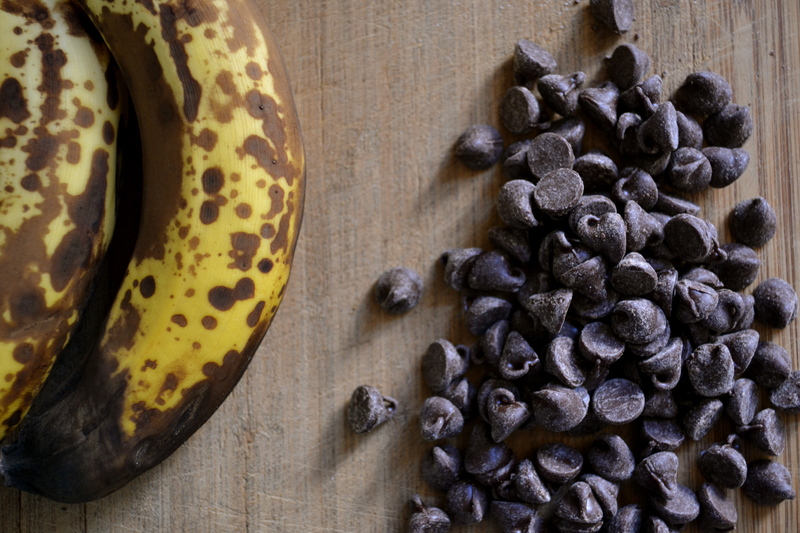 If you want to make _all_ chocolate or _all_ banana, then double the ingredients of the flavor that you want and do not include the ingredients of the one that you do not want. Place sugar and water in a small saucepan. Heat to boiling over medium heat. Stir constantly until the sugar is completely dissolved. Remove from heat and allow to cool for at least 10 minutes. Drain the tofu and divide in half. Place half of the tofu with the melted chocolate, half of the vanilla, and half of the sugar syrup in a food processor or blender. Process until smooth. Add a dash or two of salt. Blend in and taste. 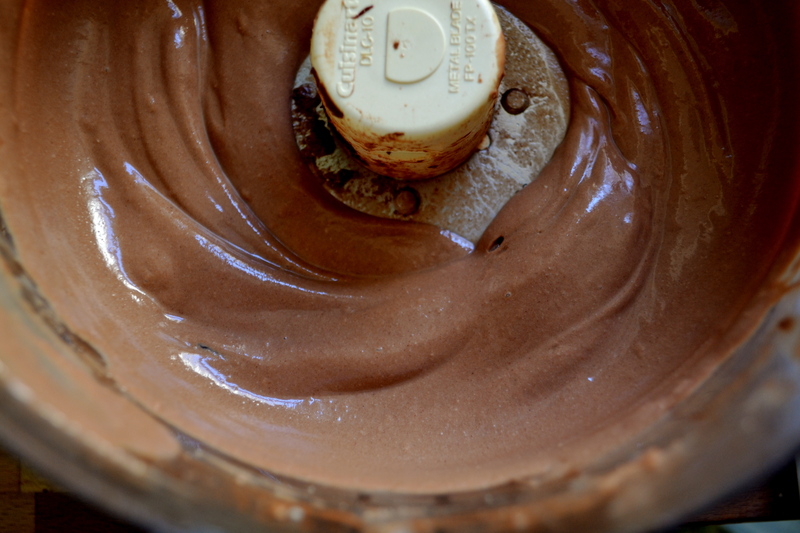 Place chocolate pudding in a bowl with a lid. Refrigerate for at least 30 minutes. 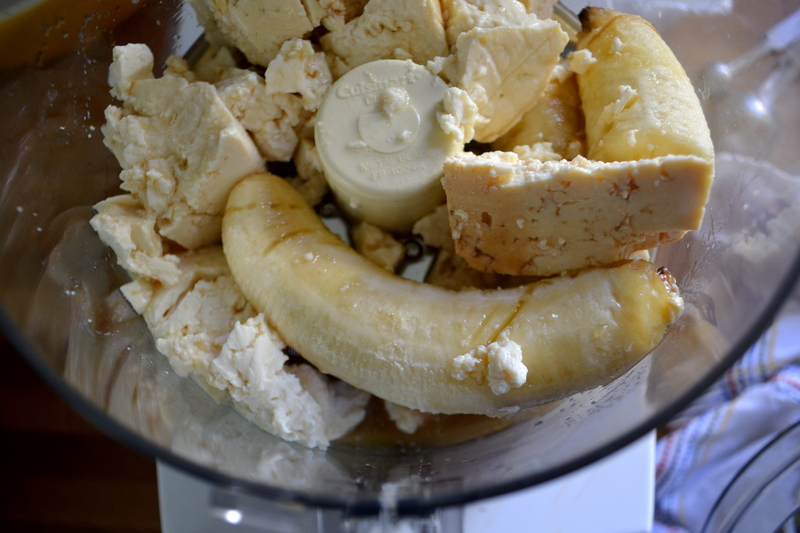 Place the other half of the tofu in the food processor along with the bananas, the remaining vanilla extract, and the remaining sugar syrup. Puree until well blended. Add a dash or two of salt. Blend in and taste. 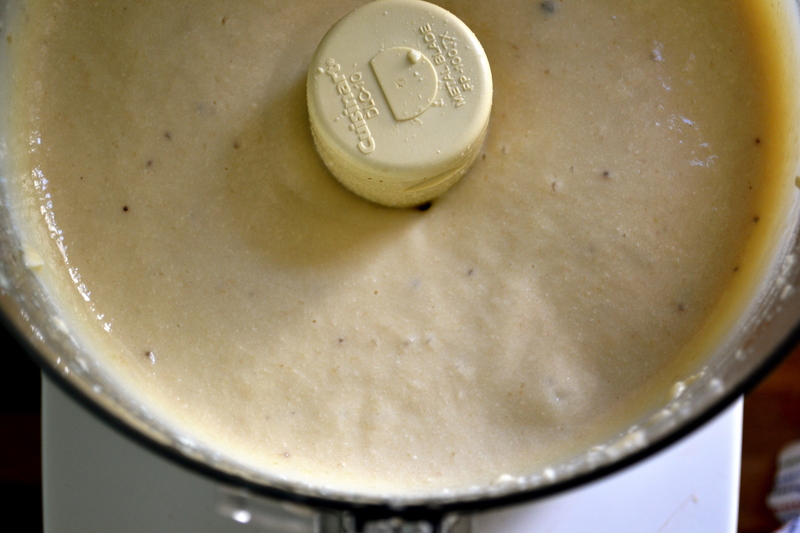 Place banana pudding in a separate bowl with a lid. Refrigerate for at least 30 minutes. 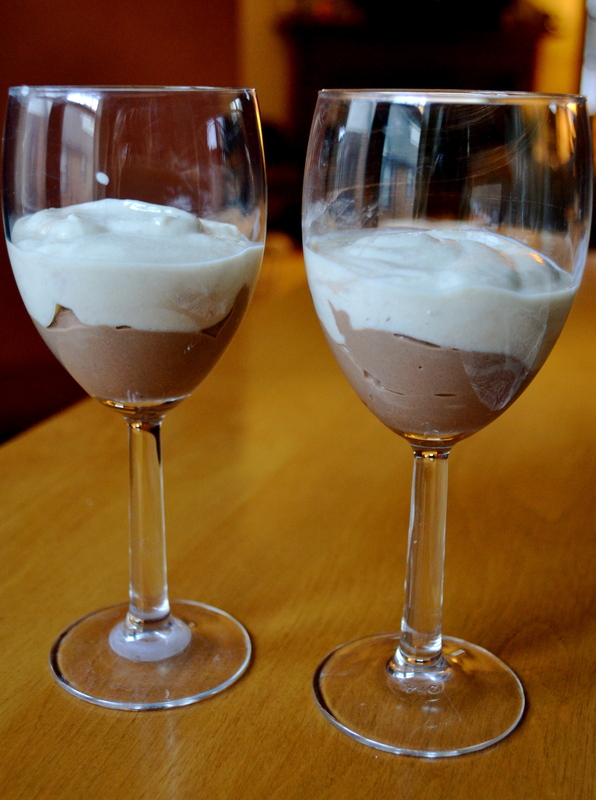 Layer pudding in small individual glasses with chocolate on the bottom and banana on the top. I was intrigued by this recipe as well as I read through the book. I like the idea of the almond milk or maybe even coconut milk! Well then! You have dispelled my suspicion that creamy tofu-based could not possibly taste good. I will have to give Mark’s pudding a try.